This themed Elle China editorial seemed like the perfect segue into the lunar new year which is tomorrow. 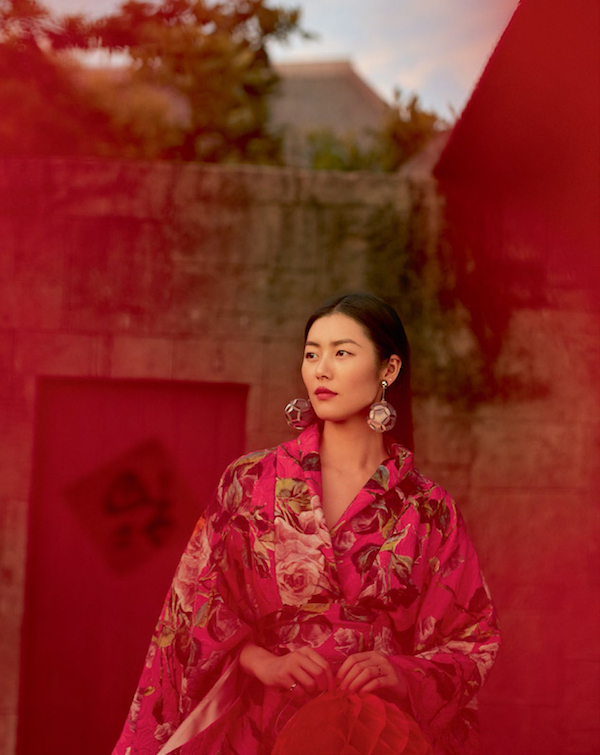 Model Liu Wen is clad in an array standout looks in lucky red while playing with paper lanterns and practicing calligraphy. 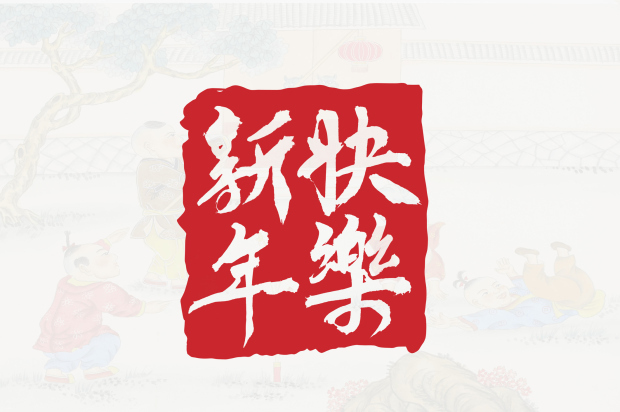 This will be the year of the Fire Rooster which is marked by high energy and productivity for those who are willing to work diligently and practice some measure of patience. I would like to wish everyone who is celebrating a very happy, healthy and prosperous new year! Gong Hei Fat Choy! Xin Nian Kuai Le! 新年快樂! 恭禧发财! 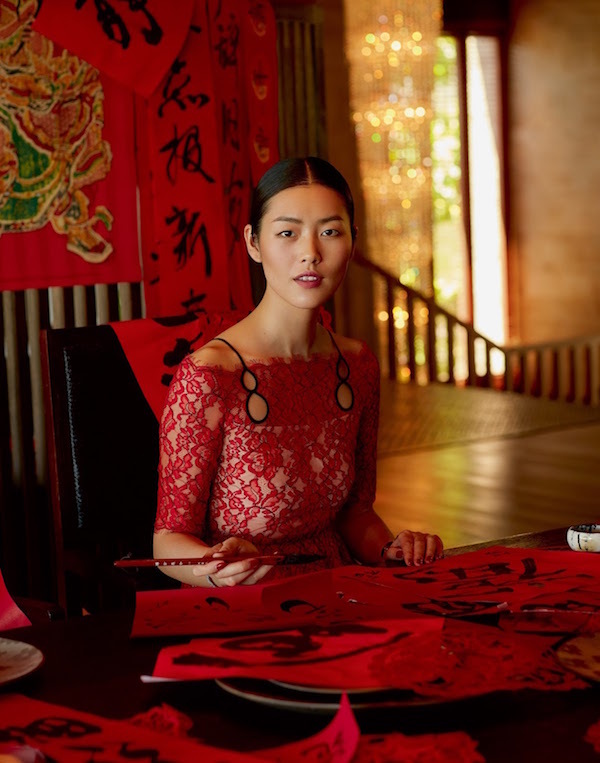 Liu Wen is beautiful! Happy Lunar New Year!!! Beautiful and elegant. Have a great weekend. Yay! This is the first love/Valentine-themed blog post I've read/seen this year! All of the images are beautiful, and ever so dreamy. I hope I have high energy and am pretty productive this year! 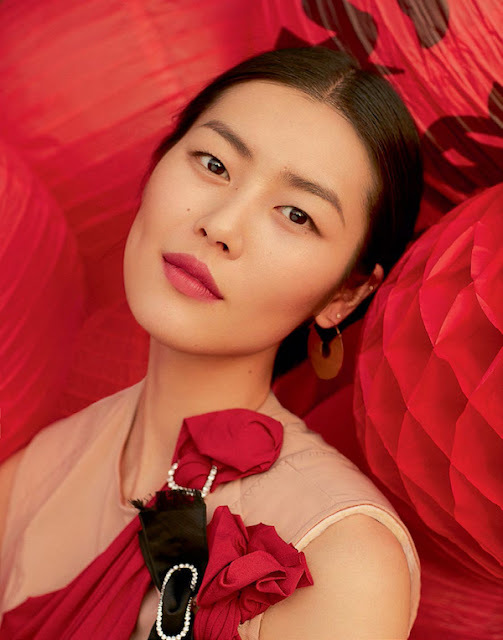 Liu Wen is fabulous, as always, in this editorial. Happy CNY to you dear! I wish you a happy and energetic Chinese New Year as well, Rowena. Anyhoo, Happy CNY, Rowena! Wishing you a prosperous and fantastic year ahead. I certainly hope 2017 will bring much better tidings. Swooning over these pics! And loving the Valentine's Day vibes, too. Happy lunar new year, Rowena! Happy Chinese New Year to you and family, Rowena! Love this editorial, she's such a beauty! Loving the vibrant red in all these shots. Happy Chinese New Year to you! I love red and this redational is wonderful! Everything hangs beautifully on her. The red editorial is so great! She is so pretty! Rowena, this is absolutely gorgeous! I love that red lace dress & sheath (where she's lying down next to the lanterns) she's wearing. Perfect for holiday tomorrow! Happy Lunar New Year Rowena! Wishing you peace, love, prosperity & blessings. All these pictures look amazing and of course perfect for the occasion. OMG These pictures look stunning Rowena. Who knew paper lanterns could make such a great accessory. Happy new year to all celebrating. The pictures are just so beautiful. Bright and beautiful! These photographs are beautiful - I'm jealous haha! Happy Chinese New Year Rowena! These pictures are so elegant and classy. I love the red theme! Have a great week! I hope you had a lovely celebration with your family. I wish you a happy and prosperous New Year. Beautiful photos...I'm a great fan of red colour. I love the symbolism behind it. Wow, this editorial is incredibly beautiful...All those details and the rich hue of red - totally swoonworthy. Hope you are having a cozy week so far, darling.